Who doesn’t love gossip they say. Almost most people are into it at one point of time, But when Gossip becomes character slaying, tale bearing and damaging other relationships, others peace of mind then it is already in the pathological spectrum. Today social media like Facebook, WhatsApp is filled with Gossip. The Word of God, Our tongue has the power of life and death. 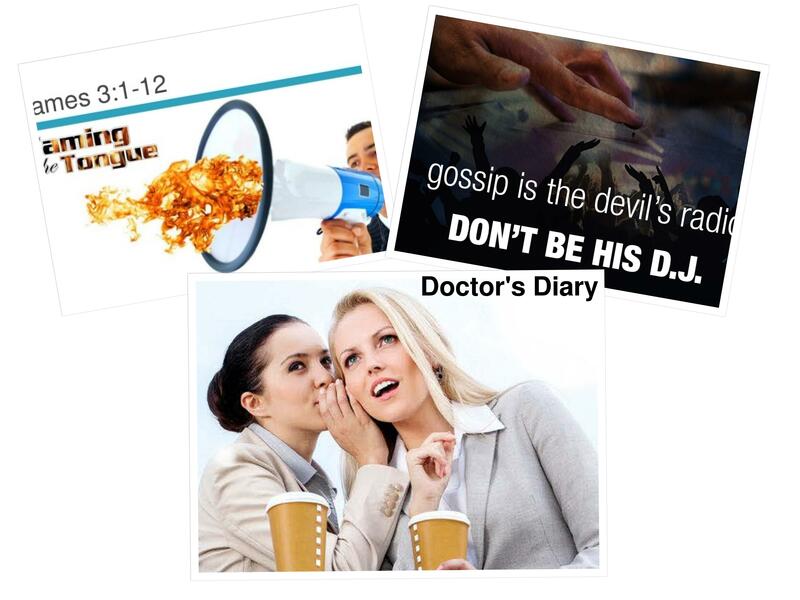 The biggest gossipper ever is none other than the devil. That’s why the Bible calls him “Accuser of the brethren” in Rev 12:10. So leave gossiping, stop entertaining others gossiping to you too. Speak good things, speak life into your life and others life. God Bless You.